Mother's Day might be in the month of May, but as a shop owner and card maker, I need to think about ideas for new cards, and even list them in the shop, way before anyone is thinking about specific holidays and celebrations -- yesterday, someone actually bought the first Mother's Day card of this year. 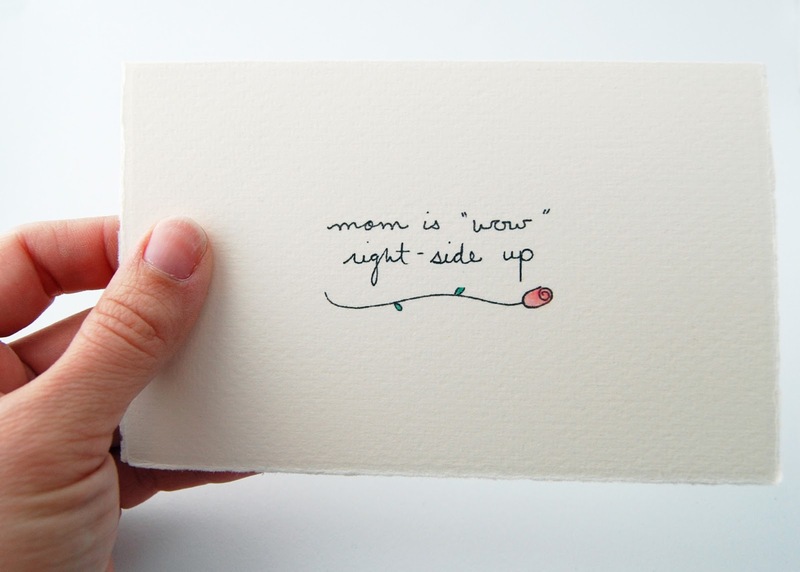 And sometimes it's just nice to be able to grab a card for your Mom just because you love her so much, even if it is September. Also, I'm trying out some new product photography. What do you think of the white background and my hand holding the card? Yay or nay?